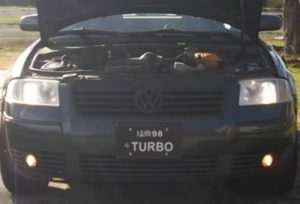 Replacing the headlight bulbs on a 2000-2004 VW Passat is not a difficult job and falls into the DIY category. The process is simple enough by pulling out the bad bulb and inserting a new one. 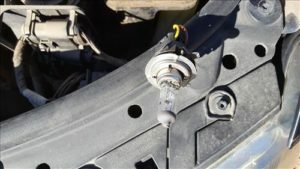 The difficulty will be how hard the old bulb is stuck in the socket due to age, weather, or other factors. 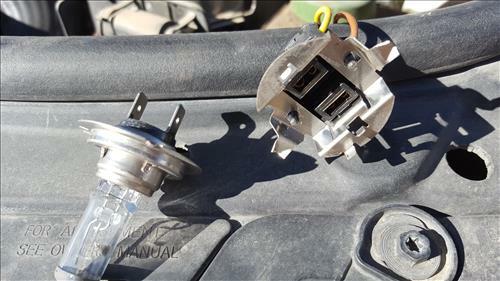 Most will have few problems and quickly able to swap out the bulb. As always if in doubt take your car to a certified mechanic. Getting access to the left and right bulbs are different with each method shown below. 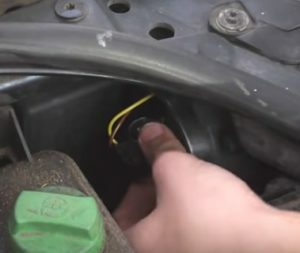 Driver Side Bulb Removal and Replacement. 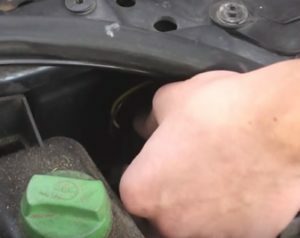 Remove the cover from the coolant tank blocking access. 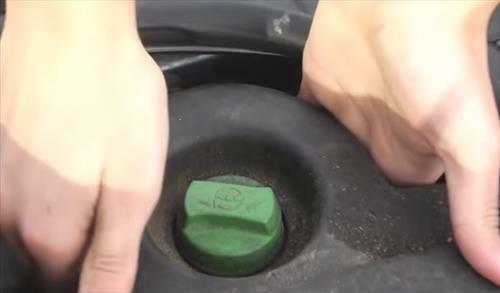 Remove the cup holder covering the bulb assembly. Turn the bulb assembly counter clockwise until it stops than pull it out. The old bulb needs to be removed. 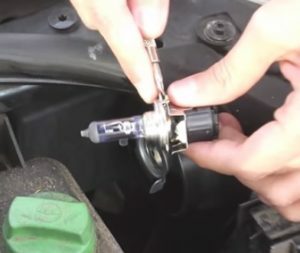 Use a small screwdriver between the bulb and the socket to get it started. Once the bulb has come out slightly it will take a lot of wiggling back and forth while pulling on it to get it out. 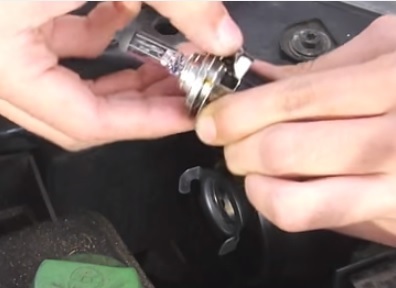 Once the old bulb is out a new one is inserted into the socket. After the bulb is in the socket gently insert it back into place and turn it clockwise to lock in. 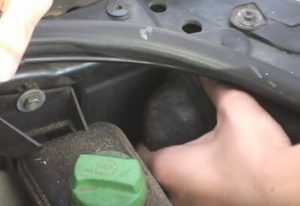 A vent needs to be removed to get to the passenger side bulb. Here are the steps. 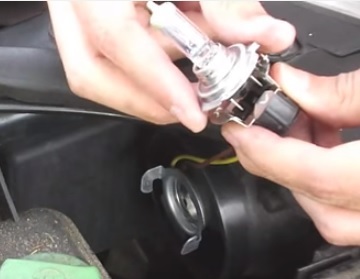 Removing and replacing the headlight lamps on a Volkswagen Passat is not difficult in complexity. 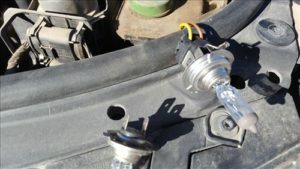 The difficulty will be how the car has aged and the bulbs are stuck into place. 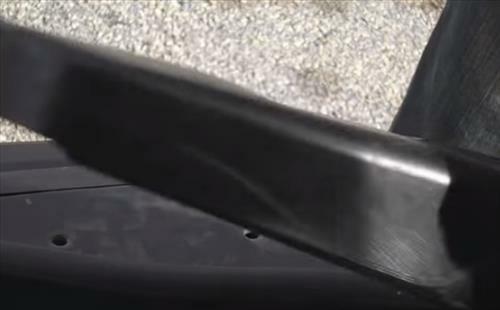 Certain climates will age a car differently than others which can lead to corrosion and rust which can make them hard to get out. It is not possible to remove the right side headlight bulb without a specialized tool. I took off the vent and removed the back cover of the headlight assembly, and it is impossible to get my hand inside the lamp housing to get my fingers on the bulb assembly. 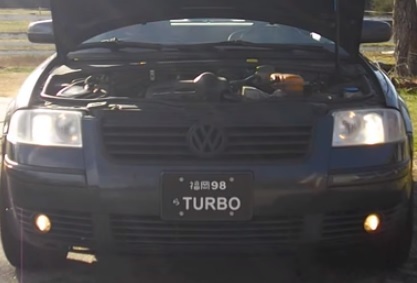 This is unconscionable on the part of Volkswagen.